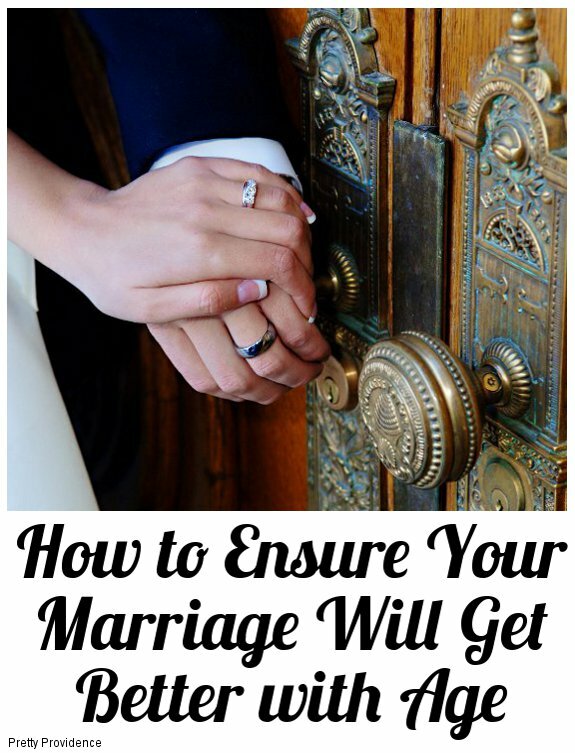 I have been really hesitant to write this post, not only because it is a personal subject, but because I don’t want anyone to think I’m claiming to be a marriage expert. I’m not one, but I just couldn’t shake the feeling that I needed to write this. Finally, I decided that even if this post helped to strengthen just one marriage, it would be worth writing. Every marriage is different, everyone has their own struggles and challenges, and I don’t claim that this is a comprehensive list. It is a sincere attempt at dissecting why my marriage is the best thing in my life, and what it is that makes ours and other marriages successful. We have been married for twenty-two years. I can’t believe how fast these twenty-two years have gone. It’s crazy how in a way how fast this time has really gone by. I feel like I have know Daren my whole life. Someone recently shared with me this experience: "Recently we traveled home to attend Bryce’s little sister’s wedding. One morning all the girls went for a walk and my MIL asked us if we wished we could go back to being “newlyweds.” I was shocked at how quickly everyone responded “no way,” including myself. Although I loved being a newlywed and cherish those memories, I could never give up the things I have learned in these five short years. We have grown so much. Overcoming challenges, making decisions together, growing together, changing together, really getting to know this amazing man I married, I could never give up what we have learned and shared. Yes, things change. Bodies change, lifestyles change, children come and eventually they will go out on their own, but one thing I will always have is my husband, so here’s to making sure marriage gets better with age." Don’t keep score. Marriage is not a game. It’s not a contest either. So why are we inclined to keep a mental tally of who is ahead? If you notice yourself checking a mental scoreboard when you do something to benefit your spouse, chances are your heart is not in the right place and you probably aren’t even noticing all the things he does for you and your family. Learn to communicate well. Men and women are so different (duh) and it seems like communication is one of the ways these fundamental differences like to manifest themselves. When we were engaged our ecclesiastical leader strongly recommended that we take a marriage prep class. I’m so glad we did. When it comes to communicating I always remember one particular story the instructor told. He and his wife were newly married and they were driving somewhere in the car. His wife asked him if he wanted anything to drink. He replied he did not. She responded, inquiring if he was sure he wasn’t thirsty. He assured her he was fine. She said, “there is a 7-11 right up here on the corner, it would be really easy to stop if you are.” He said again that he didn’t need a drink, but thanks anyway. When they arrived at their destination he was shocked to realize that his wife was upset with him. All she wanted was a drink. The reason I remember this story is because as comical as it is, I catch myself doing this even after five years. As soon as I realize what I am doing I force myself to say, “babe, I want a drink, can we stop?” and amazingly he is always quick to agree. Ah, direct communication. Everyone’s communication issues are different, but miscommunication causes fights and tensions that can otherwise be easily eliminated. Try to figure out what your communication differences are and breach the barriers. Forgive immediately. My husband is so good at this. I remember one night saying something so mean to him in a hormonal frenzy and running up the stairs to our room. I am a proud person, and even though I knew even as the encounter happened that I was in the wrong, it was still hard to make myself go downstairs and apologize. I remember getting up my courage and finally going down. No sooner had a tearful “I’m sorry” escaped my lips than my husband had swept me up into his arms and told me it was okay, and how much he loved me. I was ashamed at this moment to realize how often my husband had committed smaller offenses which I then made him suffer for as he laid out extensive explanations for his tiny misdeeds. Or, the times when he had sincerely apologized and I had responded with an indifferent “it’s fine.” I am trying to teach myself to forgive right away, acknowledging that no one is perfect, and remembering how much I love him despite any weaknesses. Not to mention how I want him to forgive me mine. Make the time you have together count. Life is demanding. Sometimes it seems like there isn’t time in the day to get your chores done, let alone go out on a date with your spouse. One thing that has really blessed our relationship is that we have always tried to make the time we do have together worthwhile. For example, if you are going to watch a show, don’t sit on separate couches while you each browse your phones during commercials. Hold hands. Talk about what you’re watching, Talk about anything. Another way we have tried to do this is by establishing an early bedtime for our son. As soon as my husband gets home he focuses on our son, giving him his full attention, playing, laughing, teaching, and then he puts him to bed so that he gets a good amount of quality time with him each day. It has been such a blessing for us to have a few hours together before we go to sleep when we are kid-free. I realize everyone’s schedules and demands are different. Ours have changed several times since we’ve been married, but the point is to make an effort to spend meaningful time together. Pray and read scriptures together. I know that not everyone is religious and I’m not saying you have to be to make a marriage work, but I couldn’t leave this out if I am being honest about what strengthens our relationship. We read our scriptures and pray together every night and I can’t begin to explain how it has blessed our marriage. For starters, it is really hard to hold onto a silly grudge or argument as you hold hands and pray together. To take it deeper though, I can’t explain the love I feel as I hear my husband plead with God for me and for our children, for strength to keep our marriage covenants and for solutions to our problems. It is also a time when he gets to see that I recognize the things he does for our family as I tell my Heavenly Father about them and express my gratitude for such a loving husband and family. Keep the sexual flame alive. Since this is a personal subject I am not going to go into details, I’ll only say that the physical side of a marriage not only matters, but is critically important. It always makes me sad to hear couples joke about how this dies out over time, after kids, etc. It doesn’t have to (shouldn’t) be that way. I’m not saying things don’t change, I’m simply saying make the physicality of your relationship a priority. Don’t ever talk negatively about your spouse to others, especially your parents. If you and your spouse are having an issue or disagreement (and we all face them), it should stay between you. Complaining about your spouse to your mom not only doesn’t solve anything, but is a breach of trust and sews seeds of worry and dislike of your spouse in your parents and friends. Write in a journal, talk to God, talk to your spouse, and sincerely try to deal with the issue on your own. If you still struggle, consider consulting a councilor or ecclesiastical leader. Once you’re past the problem, you will be glad you didn’t tell the whole world about it, and so will your spouse. Focus on the positive. To state it simply, every relationship has good things and bad things. Focusing on the bad things only blurs the good ones out of your line of sight. Serve your spouse. All relationships have peaks and valleys. It’s totally normal to have times that are particularly good and times when things are just static. During times when I feel static and not head over heels in love, I ask myself “what have I done for him lately?” “What am I doing to make this relationship fresh and exciting?” “What am I doing to make him love me more?” Try to do something special. Write a love note, clean his car, set up a date, or simply look into his eyes and tell him you love him so much. It’s amazing how when I change the way I treat him, it automatically changes how I feel about our relationship. Live frugally. It would be naïve to act as if money doesn’t often cause marital discord. Monetary issues are one of the top three reasons cited for divorce in the United States. There is a really simple solution to this: live within your means. Be grateful for the things that you have. If you focus on how you can work together and save to achieve your goals it will bless your marriage and help you focus on what is really important in life. I have loved writing this blog because it constantly reminds me to simplify and live frugally, which in turn has blessed our relationship. Shed your selfishness. If I was going to give only one suggestion to anyone who was having marital trouble it would be this last one. Put your spouse first. If you let go of your own wants and needs and seek to meet the wants and needs of your partner you will be amazed at how your love will grow and your happiness will multiply. Even though I am nowhere near perfect I am willing to work hard every day to make sure that my marriage succeeds, so now you have a list of the things I work on. I hope that this post helps someone else to do the same. If you have any other thoughts on what makes a marriage work or ideas that have helped you strengthen your relationships I’d love for you to share in the comments, I am always learning from your thoughtful responses. I wanted to post this great article on as many forums as possible to that the word gets out about me running for school board in Kearney, Nebraska. I am very pleased with the tone of the newspaper article and for the great job that was done in writing it! I truly have worked hard for the last 10+ years to prepare myself to be in a good spot to run for school board. NOW...is the time! 300 Days is Just Not Enough Time! When Colin left on his mission some 800 billion days ago, I thought of all the great and grand plans I could have and accomplish in this two year time frame! Well, as I gaze at the little day counter at the bottom of his mission page, I see that I have 300 days left. 300! That's it! That's all! How can that be? I have barely started to do all that I was hoping to. Colin's mission time has gone so quickly and I feel like life is doing the same thing! Each Friday I ask myself where the week went. I try to account for the hours on each of the previous days in the week and while I feel busy, I see the to-do list that just doesn't seem to get any shorter. I love life! I try to pack so much into a day! I don't want to miss anything. I feel like sleep is way over rated. My body tells me otherwise, as do my children.--they claim I get grouchy without my proper sleep. What are they talking about? We don't need more that 6 hours of sleep a night! Right?! This week has been "Spring Break." Our family had planned on being out of town for the week. We had grand plans of spending time with friends and family in Utah. It didn't happen. In fact, Laura got shingles and we needed to change our plans for her follow-up visits and to make sure she got back to good health. We spent the week doing very little. We told ourselves we would have big cleaning projects everyday and the house and yard would be in pristine shape by the end of the week. Well, here it is Saturday and we have only done a few things. Are we rested? I think so. We have had some time together and to enjoy each other's company. It has been great. Daren and I have five more weeks of school. Yes, that is right! FIVE WEEKS! It's all downhill from here. On another note, I learned yesterday that my Uncle Chuck had passed away. This is the last of my mom's siblings. She is now alone. This uncle had been a hermit for most of his adult life and lived in a small town near Prescott, AZ. After hearing of my uncle's death, my mom took off from California to drive to Arizona to put the final details together for liquidating the estate and getting all of my Uncle Chuck's personal affairs in order. Crazy to think of a 78 year old woman on the road in the middle of the night, crying her eyes out and trying to find her way. With that said, my oldest brother decided that he needed to take off and go down and help with anything my mom might need. In doing so, my brother wanted a second driver. He asked if maybe Christopher might be available to help him out. So, last night around 6:00 PM they took off from Nebraska, and reached Los Angeles some twenty hours later. Amazing. Through all of this, I have been trying to keep our home up and running and do something with Laura and Cameron. Daren was kind enough to take them fishing today and last night they slept on the trampoline. I think they have had an incredible week of fun and relaxing. I sure hope so. Early in the week, we had an old Institute teacher--college religion teacher--stop in with his daughter and her two children. That was so fun! We also watched movies, ate good food and had a fire in the fire pit this week. This morning some drama started. It started with one of Christopher's friends. I am so grateful that Daren and I listened to inspiration and sent him on a four day 4000 mile trek. It has saved us. Then this evening I got a message on a different front about someone telling me that I was upset about something. WOW! Was I upset? I guess I forgot to tell myself. After doing some questioning, if seems that someone wanted to take it upon themselves to convey a message that wasn't true and then hope to make me look badly! As if having Laura with shingles, my uncle dying, a young friend of Christopher's wigging out and a 78 year old mother on the road driving weren't enough to deal with, I now have been sitting here trying to re-group and put myself calmly back together. I want Sunday to be a great day for us! I want to be in the right frame of mind. What I find most interesting about the whole day is that I had just spent several hours listening to a CD about being an Holy Woman. The talk, by Wendy Watson-Nelson asks the question: "What would a Holy Woman of God do?" So, I guess what I am trying to say is that when dealing with some of the "drama" today....I was able to do a much better job in my reaction to these situations because at every turn, I asked myself "What would a Holy Woman of God do?" It helped. It really is helping. Maybe I will be that person I have wanted to become before the 300 days are up and Colin returns safely from his time in Mexico as a missionary. I can hardly wait for my Mother's day phone call in 52 days! It will be downhill from there....Oh I hope so! So in going into the Sabbath day, I ask myself: "What would a Holy Woman of God do?" I hope the Sabbath will be a day of more reflection on this. I plan to report back soon! I've been wanting to blog for a few years now about what I have come to call, "Nebraska Nice!" If you have never lived in the Midwest then you have never truly experienced "Nebraska Nice." People in Nebraska are truly some of the kindness and most thoughtful people I know. They truly care about each other and they only want the best for each other. I like to think I have meet truly "Christ-like" people! When Daren and I first moved to Kearney twelve years ago we were not sure what our experience here would be. We had spent our childhoods growing up in Southern California and then moving around for the first ten years of our marriage. We had most recently come from Upstate New York and were use to a certain type of personality.--don't get me wrong, we LOVED our time in Saratoga Springs! It only took us a few minutes to notice a huge difference in the way people treat each other. People really are just kind. They genuinely know how to be Christ-like on every level. We experienced this from the help we received trying to find a place to rent to the way in which our children were treated on their first days of school. What a blessing for our family! 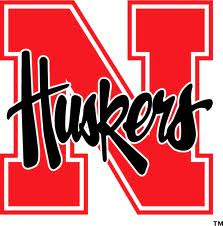 Each day it seemed Daren and I would comment to each other about some way we had observed this "Nebraska Nice!" Some more examples were fundraisers when a family had had a misfortune or the lack of horn blowing when a person didn't drive his car exactly how the person behind him thought they should. We found neighbors willing to offer services we never would have dreamed of doing. We had sidewalks shoveled and weeds pulled. We had doors being opened and smiles gestured. The list could go on. One niceness that really sticks out to me is the what Daren and I like to call the "one-finger" wave. I think Ted Kooser, US Poet Laureate, wrote about it in a poem about all things Nebraska. Daren and I are often found in our car driving through small cities and communities in Nebraska. It's just something we enjoy! It doesn't matter where we are or if the person knows us or not. Each time an on-coming car approaches the driver simply raises his index finger and gives us a little wave. It's so wonderful! It's "Nebraska Niceness" at it's best! I am so grateful for this time in Nebraska. I have grown to love the nice way in which I can live my life. I feel peace and I feel secure in my day to day life. I know that I am surrounded by kind and nice people! People really do have my back! It's a great feeling and I wouldn't want to raise my family anywhere else! Thank you Nebraska for showing me what "NICE" really means. I hope I can pay it forward just a bit! Full of thoughts lately about what I am doing and what is lacking in my life! Sometimes I think I focus on the things I’m not doing and it seems as if that makes my shortcomings far outweigh all the good things that I am doing! As I look at the opportunities that are coming my way, I am really trying to stay positive in my life. It seems as if Daren and I have been having some real struggles. I have felt the weight of Daren’s job on him and also some of my responsibilities weighing me down. I want to push through this “dark” period yet it is difficult. I question: “Will there really be a light at the end of the tunnel?” I mean, “Will I see the blessings that I am wanting as I try to seek the Lord’s strength?” I hope so! I have HOPE! I have a growing FAITH! I feel like I do this alone. I bring that on myself! I think this journey—life—is somewhat done ALONE! I am have a hard time relying or asking for help. Perhaps what I am expecting is that by some miracle I will find a “money tree” in the backyard and all of the time and effort that Daren puts into his job will be compensated for. I know that is not going to be the case. I was born into a wonderful middle class family! I know this lifestyle best. I like to run with a crowd that has the money and the taste for finer things! I let my perspective of life and what I should be achieving and what I can afford get away from me. REALITY CHECK! Daren and I are teachers. We value the time we have with our family and we love being able to travel and show the world to our children through our knowledge. We won’t ever be rich! Let’s say that again, “We won’t ever be rich!” We will be rich in time and relationships. We give of ourselves. That is what we have to offer. On this Valentine’s Day of 2012 as I think of the wonderful relationships I have with my husband and with my children, I feel blessed. I feel the Lord is blessing me through what I learn from them. I love Daren’s family. I love my family. I miss my father! But as I move forward, trying to do all that is required, I hope that I can come back to this post and realize how blessed I am! I truly am! I want to share this great blog from Laurel Christensen. First, I adore her! Secondly, she is doing with her life some of the "things" I want to be doing with mine. This blog really hit home with me. It is meaningful and I want to record it here on my blog.--hope she doesn't mind that I copied and pasted it?! You know that much loved Christmas tradition where people decide what gift they are going to give the Savior for Christmas? Often, it’s written on a piece of paper and tucked away for review the following year. I’ve always thought that was a nice tradition—but I’ve never taken the time to do it. 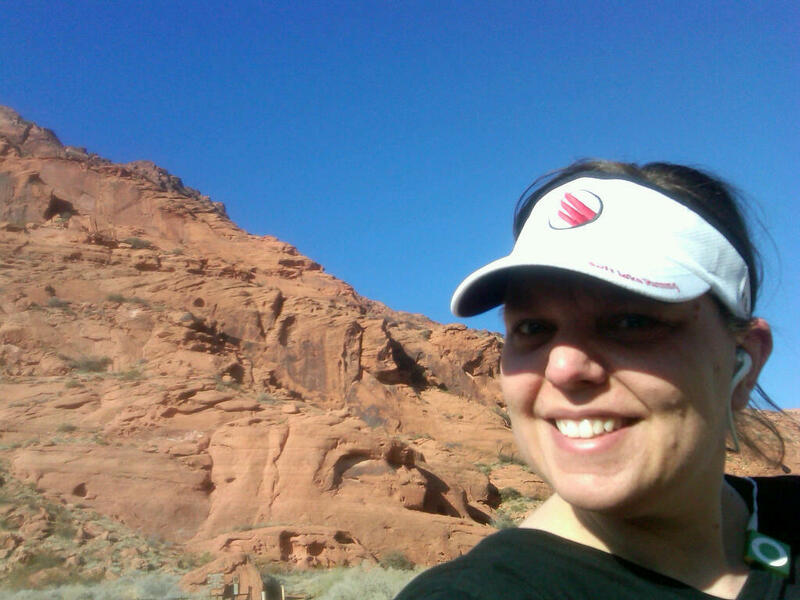 I spent last weekend in St. George, UT. I was there to speak at a fireside for a great group of young women and decided to make a little weekend retreat of it. 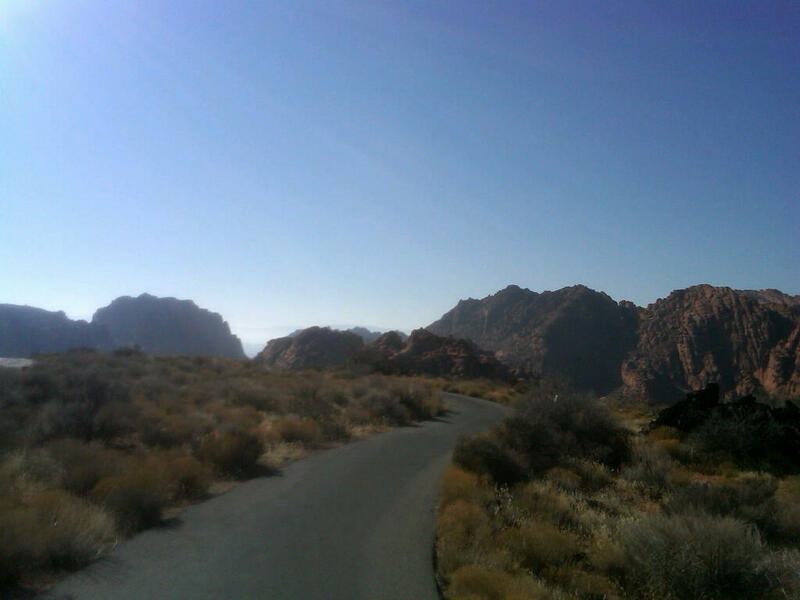 beautiful Snow Canyon of Southern Utah. I had a race to compete in. But, this wasn’t a race with anyone else at the start line, or the finish line. This wasn’t a race with a race t-shirt or a cheering crowd. This was just about me running—just for the sake of running. Just because I wanted to. Just because I could. And something really interesting happened while I was running. I caught a little glimpse of my future life. Now, this wasn’t some grand revelation or vision. It didn’t last for more than a minute or two and I couldn’t tell you many details. But, I could see—and feel—who I am becoming. And I sensed that God was pleased with my direction. I was overwhelmed with a feeling of peace. And gratitude. And for some reason, that got me thinking about the aforementioned Christmas tradition—giving a gift to the Savior. It felt like a tradition I needed to participate in this year. And then, I realized that’s exactly what I had been doing…and what I must continue to do. When I think of all the gifts we could give to the Savior this Christmas, it strikes me that perhaps the gift He really wants most is for us to become who we are meant to become—and who we can ONLY become—through Him. So, if you’re looking to offer a gift to Him this Christmas, give Him the gift of YOU…willing, believing, determined to become who you were meant to be…YOU. Perhaps that’s really all He’s ever wanted…and the only gift we can really ever give Him. I want this in my blog as I look back on things that were important to me. Such a great quote.